"L.A ZINE Culture. Talk & Discussion"
"Transit Republic,” a transverse arts project initiated in Los Angeles during the month of January 2017 for 25 days — a diverse group of artists, curators, educators, researchers, editors and collaborators participated in the exhibitions, talks, screenings and research which reached as far as Tijuana, Mexico. It is our pleasure to announce the launch of Art Bridge Issue No. 5. 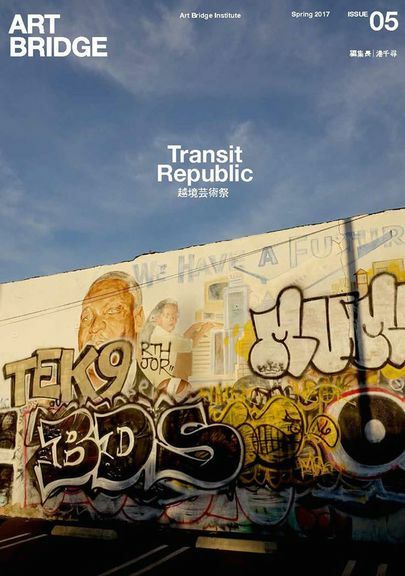 "Transit Republic," covering this transverse arts / publishing project that started in Los Angeles. (Jan 2017) — from LA's diverse art practices and new museums in construction— from Mexico's grassroots community activities, artist activities, and the American sociopolitical changes during the inauguration of the current U.S. administration and its effects on the Pacific culture. In addition to an introduction of the West Coast DIY culture scene and a small exhibit of zines created by local artists and self publishers, we plan to hold an information exchange / exchange party with artists producing and distributing zines in Fukuoka. If you are a self publisher and / or have a favorite zine you would like to share, please bring it to this event. this is a free event and everybody is welcome!